England begin their ICC Champions Trophy campaign against Bangladesh at London on June 1. 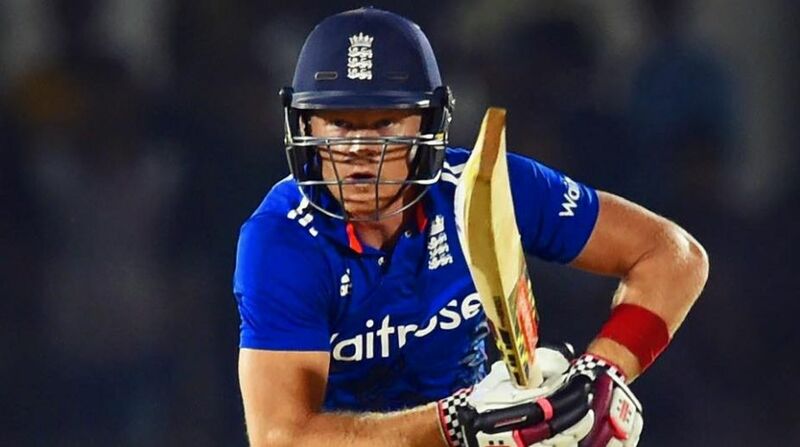 England wicketkeeper-batsman Sam Billings is looking forward to trying out the off-field lessons he has picked up from Delhi Daredevils coach and Indian cricket legend Rahul Dravid to make an impression in the upcoming Champions Trophy. Seemingly bowled over by Dravid's "calming influence" in the dressing room, Billings said: "I just enjoy talking to him, whether it's about life or cricket." "He is very calm and offers his insights and has lots of experience," Billings said in an interview while plying his trade for Indian Premier League (IPL) franchise Delhi Daredevils. The Kent cricketer, who made his ODI debut against New Zealand at Birmingham in 2015, said he was game for hard work and wanted to have a good attitude to life and cricket, a la Dravid. England begin their ICC Champions Trophy Group A campaign against Bangladesh at London's Kennington Oval on June 1. "We're playing at home and it's always special to perform in front of your own fans," said the 25-year-old glovesman, who has turned out in 11 ODIs, scoring 246 runs for England. Besides Bangladesh, Australia and New Zealand also feature in Group A, which Bangladesh senior-pro Shakib Al Hasan has dubbed as the "toughest". Billings was part of England's two One-Day Internationals against Ireland. He did not bat in the first ODI and managed just seven in the second. He did duty behind the stumps in both the matches, and batted at No. 6. Jason Roy and Alex Hales opened the batting for the Eoin Morgan-led side. This could augur well for Billings, who previously had to fight for his place with Hales at the top of the order. "I think every competition you play in around the world, every country you play in, and every coach or player you come across, you can get something out of everyone," Billings said when quizzed about whether it would be difficult to adjust to his new-found middle order role. Not wanting to comment on whether India, who announced their Champions Trophy squad on Monday, would struggle in English conditions after spending a lot of time at home playing 13 Tests and the IPL, Billings said the conditions would be completely different to what he has played in the IPL. "It would be different conditions than what it is here. The ball will have carry and swing. It will be a difficult tournament and all teams are strong," Billings concluded.